Friedrich Ludwig Gottlob Frege (1848 - 1925) was a German mathematician, logician and philosopher, who helped found both modern mathematical Logic and the beginnings of the Analytic Philosophy movement. Although his work was little known and poorly received during his lifetime, it has exerted a fundamental and far-reaching influence on 20th Century philosophy. He later abandoned his extensive work on Logicism, but he directly influenced the next generation of logicians and philosophers, particularly Bertrand Russell, Ludwig Wittgenstein and the Logical Positivism movement. After his death, his Predicate Logic virtually wholly superseded traditional forms of Logic. Frege (pronounced FRAY-ga) was born on 8 November 1848 in Wismar in northern Germany. His father, Karl Alexander Frege, was the founder of a girls' high school, of which he was the headmaster until his death in 1866; his mother, Auguste Wilhelmine Sophie (née Bialloblotzky) was also a teacher at the school, and took it over after her husband's death. Frege studied at the local high school in Wismar from 1864 until 1869. Both his teacher, Leo Sachse and his father (who wrote a textbook on the German language for children aged 9-13, the first section of which dealt with the structure and logic of language) played important roles in determining Frege’s future career. He continued his studies in chemistry, philosophy and mathematics at the University of Jena in 1869, where his most important teacher (and later friend, benefactor and regular correspondent) was the physicist, mathematician and inventor Ernst Abbe (1840 - 1905), as well as Karl Snell, Hermann Schäffer and the philosopher Kuno Fischer (1824 - 1907). From 1871 to 1873, Frege attended the University of Göttingen, then the leading university in mathematics in German-speaking territories, where he was lectured by Alfred Clebsch, Ernst Schering, Wilhelm Weber, Eduard Riecke and the philosopher Rudolf Hermann Lotze (1817 - 1881). After receiving his doctorate in mathematics (geometry) at Göttingen in 1873, Frege returned to the University of Jena to take up a lectureship (on the recommendation of Ernst Abbe). He remained at Jena until his retirement in 1918, accumulating the qualifications and positions (many of them unpaid) of Habilitation in 1874, Professor Extraordinarius in 1879, and Ordenlicher Honorarprofessor in 1896. Though his education and early work were mainly mathematical, and especially geometrical (and his employment continued to be as a mathematician), Frege's thought soon turned to Logic and the Philosophy of Language. His initial intention was to show that mathematics grew out of Logic (known as Logicism), and his early 1879 work "Begriffsschrift" ("Concept Script") broke new ground and marked a turning point in the history of Logic, with its rigorous treatment of the ideas of functions and variables. 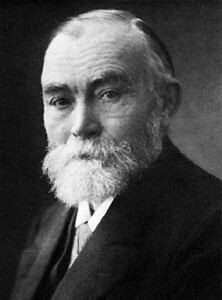 Sometime after the publication of "Begriffsschrift", Frege was married to Margaret Lieseburg, and they were to have at least two children, both of whom died young. Years later, they adopted a son, Alfred. However, little else is known about Frege's family life. His published work was generally unfavorably reviewed by his contemporaries, and he was even forced to arrange some publications at his own expense. Due to a combination of this, the death of his wife in 1905 and his frustration with his failure to find an adequate solution to Russell's Paradox (see below), Frege seems to have lost his intellectual steam around 1906, although he continued to publish articles, and to influence the next generation of logicians and philosophers, particularly Bertrand Russell, Ludwig Wittgenstein and the Logical Positivist Rudolf Carnap (who was one of Frege's students from 1910 to 1913). In the last decades of his life, he became increasingly paranoid, and wrote a succession of rabid treatises attacking parliamentary democracy, labor unions and foreigners (particularly Jews). After his retirement in 1918, Frege moved to Bad Kleinen, not far from his birthplace in Wismar. He died on 26 July 1925 in Bad Kleinen at the age of 76. Frege's early intention was to show that mathematics grew out of Logic with no need of non-logical axioms (a view known as Logicism), but in so doing he devised techniques that took him far beyond traditional Aristotelian syllogistic Logic and Stoic propositional Logic. Starting with his ground-breaking 1879 "Begriffsschrift" ("Concept Script") he invented Predicate Logic in large part thanks to his invention of quantified variables, which eventually became ubiquitous in both mathematics and Logic, and solved the problem of multiple generality (a failure in traditional logic to describe certain intuitively valid inferences). Later, he attempted to derive all of the laws of arithmetic, by use of his symbolism, from axioms he asserted as logical, resulting in "Die Grundlagen der Arithmetik" ("The Foundations of Arithmetic") of 1884 and his magnum opus "Grundgesetze der Arithmetik" ("Basic Laws of Arithmetic") of 1893. Just as Volume 2 of the "Basic Laws" was about to go to press in 1903, Bertrand Russell wrote to Frege, pointing out what has become known as Russell's Paradox (the set of things, x, that are such that x is not a member of x), which he never resolved to his own satisfaction. Later, his frustration over this caused Frege to completely abandon his Logicism, and in his golden years he started to develop a completely new theory of the nature of arithmetic based on Kantian pure intuitions of space. Frege's work in Logic was little recognized in his day, partly due to his unique and peculiar diagrammatic notation, but the analysis of logical concepts and the machinery of formalization that is essential to Bertrand Russell and Alfred North Whitehead's "Principia Mathematica", as well as Kurt Gödel's incompleteness theorems and Alfred Tarski's theory of truth, is ultimately due to Frege. He did not live to see his brand of Logic (paradoxically, largely due to the championship of Russell) virtually wholly supersede earlier forms. But, in addition to his work on Logic, Frege is also one of the founders of Analytic Philosophy, mainly because of his contributions to the Philosophy of Language. In fact, the challenge of developing new and interesting theories on the nature of language, functions, concepts and philosophical logic, so exercised him that he broke off his work on mathematical logic for several years. He is particularly noted for his 1892 paper "Über Sinn und Bedeutung" ("On Sense and Reference"), in which he distinguished the two different aspects of the significance of an expression. In distinguishing between sense (the meaning of a word or object, which can vary widely between different people) and reference (the actual object indicated, which remains constant), Frege realized that the meaning of a given sentence must be derived from the meaning of its parts, and that therefore a word only has a definite meaning in the context of a whole sentence. Other important articles in a similar vein include "Funktion und Begriff" ("Function and Concept", 1891) and "Über Begriff und Gegenstand" ("On Concept and Object", 1892).